Some Rastafari at the time believed Sylvia Pankhurst to be a member of Emperor Haile Selassie I's court due to the in-depth information transmitted through the newspaper. While Sylvia never occupied such a position, it is true that she had the ear of the Emperor during his residence at Fairfield. 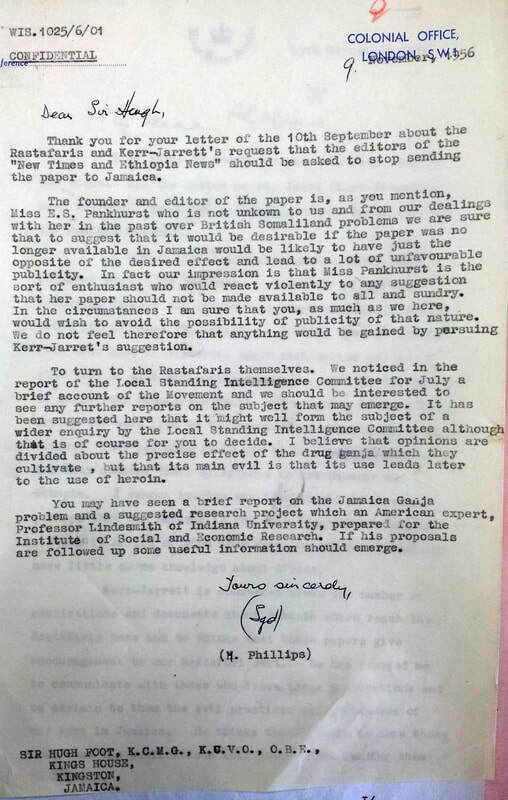 In 1956, the year of the controversy presented in this letter, she migrated to Ethiopia for good at the invitation of the Emperor.